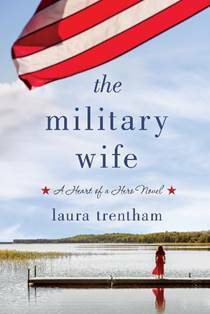 The Military Wife by Laura Trentham is a 2019 St. Martin’s Griffin publication. A moving story with a beautiful and emotional love story! Harper is a war widow, raising her son, Ben, alone. Noah has been gone five years now, and Harper is hoping to start her own business by opening coffee shops located near military bases, which also helps to provide jobs for military wives. Allison is Harper’s best friend, helping her with the new business, while also coping with her husband’s dangerous and terrifying PTSD. Bennett Caldwell was Noah’s best friend, and SEAL brother. 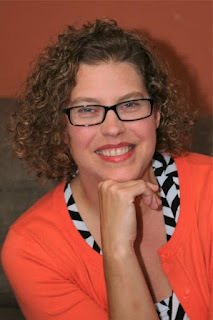 Noah used to read portions of Harper’s letters out loud to Bennett, giving him a certain image of Harper, and an idea of the type of woman she might be. Bennett must now make good on a promise he made to Noah before his death, but he is also weighed down with a heavy heart. Bennett wants to help Harper, but, preferably from a distance. Harper, however, wants to know what really happened to Noah and only Bennett knows the whole truth. While this story is categorized as a military romance, this is not your typical contemporary romance featuring an inked, alpha male with cartoonish muscles. This novel is much more mature than that, with well- drawn characters and very realistic dialogue. This is a very well constructed story, examining the various challenges military wives and families face and the way they support one another through thick and thin. I loved Harper’s and Bennett’s bittersweet romance and the way their feelings grew over time and the very understandable mixture of emotions they brought to their new relationship. All the issues addressed in the story are emotional and realistic, spotlighting the very real struggles military families face. The sacrifice and honor of these soldiers and the lingering effects that haunts them long after their service is complete is handled with sensitivity and respect. These characters are memorable, sympathetic and even inspirational. Although there is a very special romance thread, the secondary threads are just as compelling, making this a story that could easily cross over into other genres and would appeal to a broader audience. Overall, this is a very touching story, with a wonderful blend of romance, family, and friendship with a hard won and long overdue happily ever after.